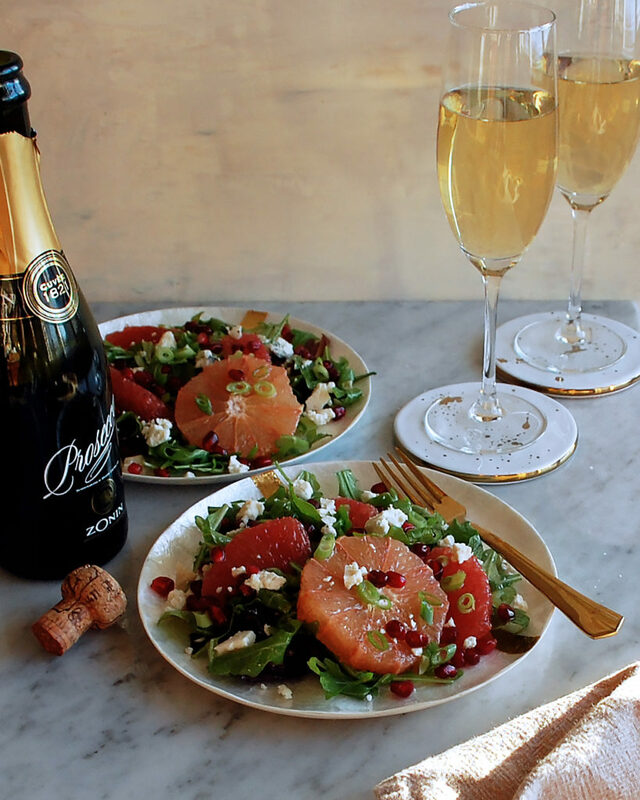 Starting 2018 off right with a very simple, elegant grapefruit salad to cheers in the new year! After taking a slight pause from writing recipes, I am back with new inspiration for the new year! Coming up on the blog…lots of healthy meals, cozy soups and braises, fresh seafood dishes, and of course some decadent treats. Even though this is the perfect time to kick your healthy eating routine into gear, I still like to keep things in balance. Eating lots of healthy meals throughout the week deserves a cozy dinner and decadent treat on the weekend. I think it’s a lot easier to stick to my new year’s goals (both in the kitchen and in the gym) by allowing myself to have flexibility and not completely restricting my diet. That being said, we all need some really simple, delicious salad recipes in our back pocket around this time of year, too. 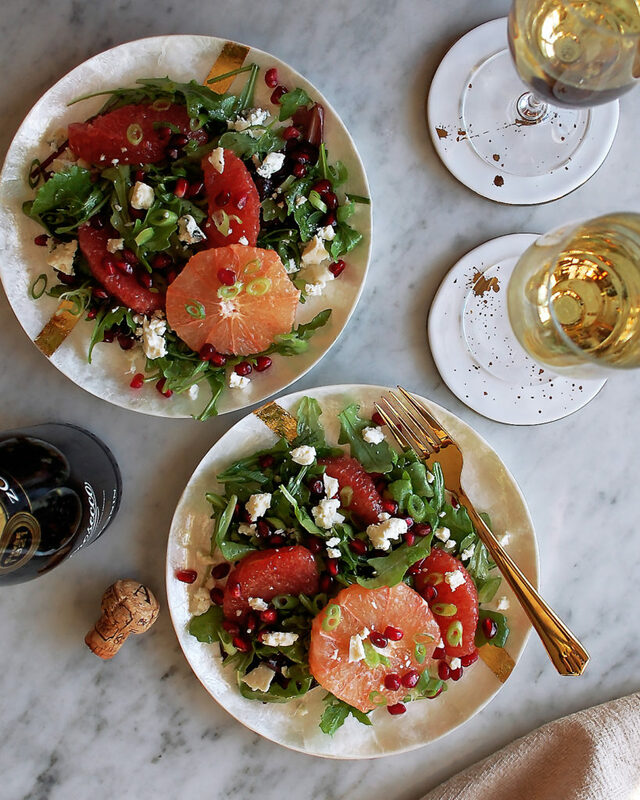 And this grapefruit salad is a completely no-fuss kind of recipe. Other than the vinaigrette, you really don’t even need a recipe. 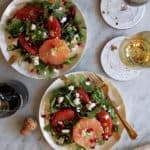 I whisk a few ingredients together to make a tangy, citrusy shallot vinaigrette, and then throw together a fresh salad made of greens, grapefruit segments, blue cheese, scallions, and pomegranate seeds. It’s refreshing and vibrant, and would be the perfect start to a dinner party or even as a light lunch. Combine the apple cider vinegar, fresh grapefruit juice, honey, and Dijon mustard in a mixing bowl. Whisk until incorporated. Slowly drizzle in the olive oil, continuously whisking until emulsified. Stir in the minced shallot and salt. 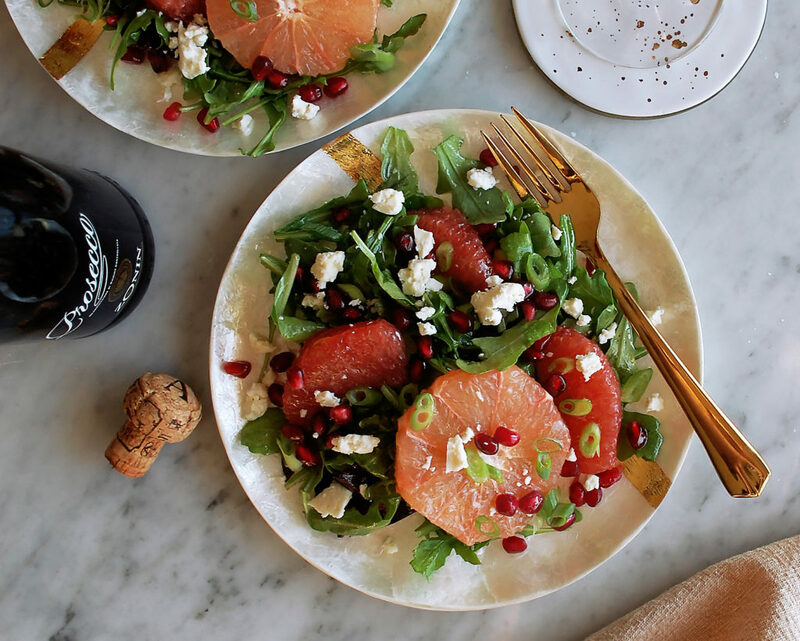 Combine the spring mix, arugula, and grapefruit segments in a large mixing bowl. Drizzle in the shallot vinaigrette, tossing the greens until well coated (if you have extra dressing, reserve for another use). Plate the salads and garnish with the blue cheese, scallions, and pomegranate seeds.